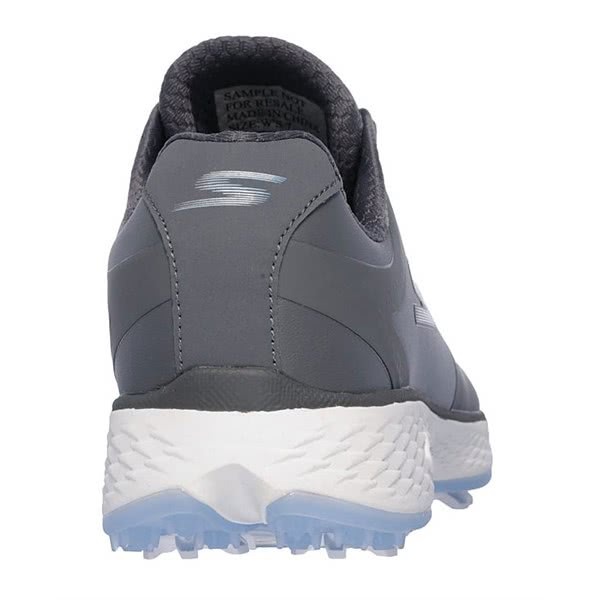 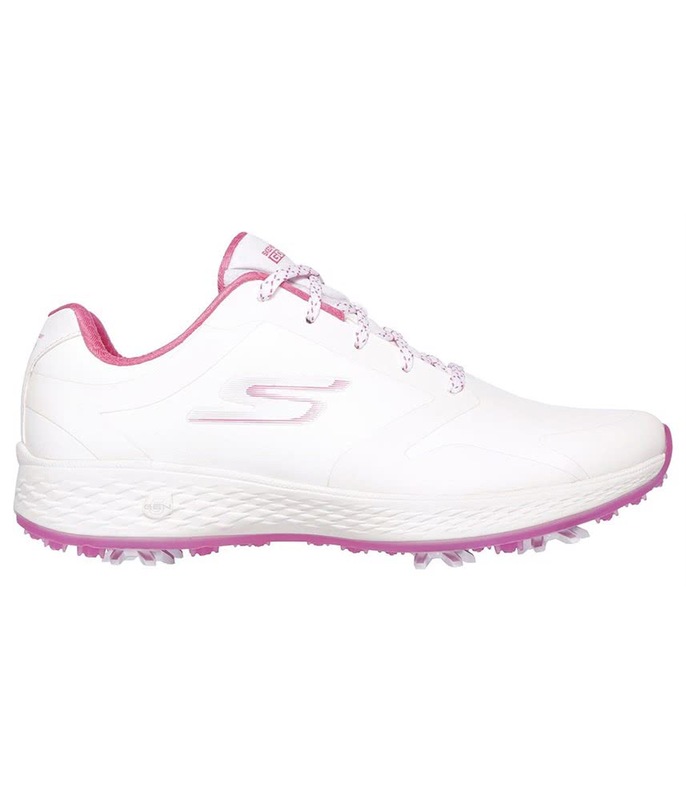 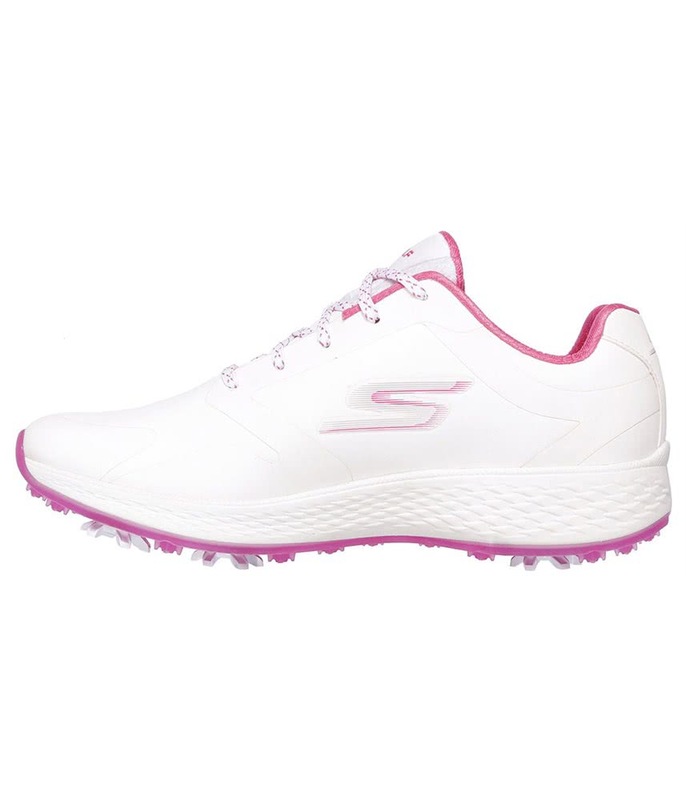 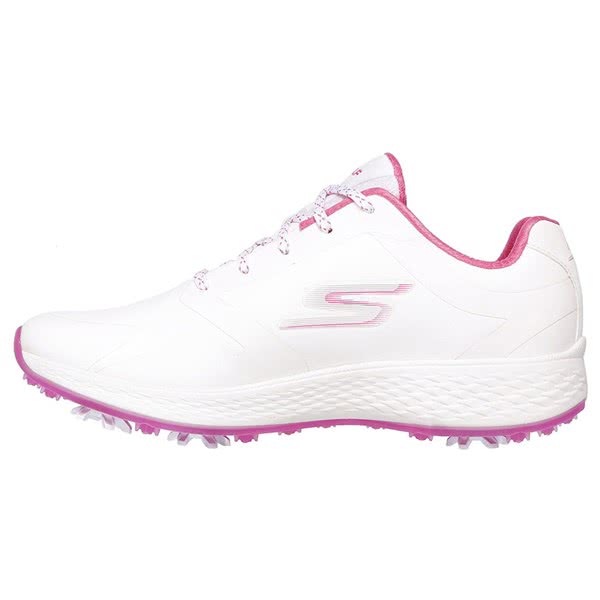 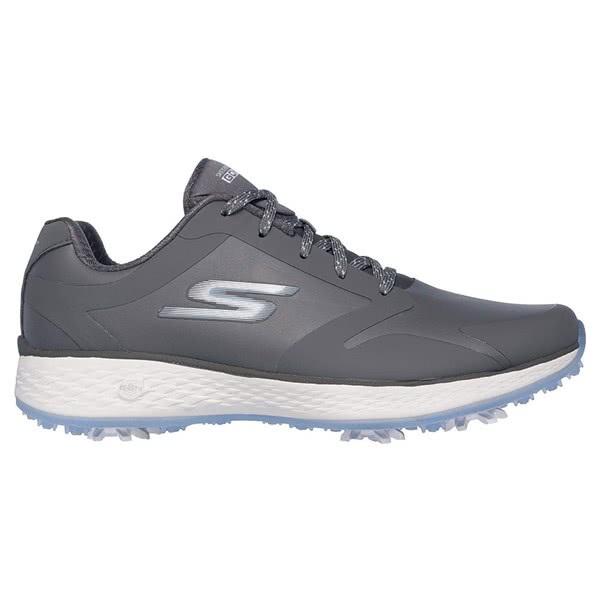 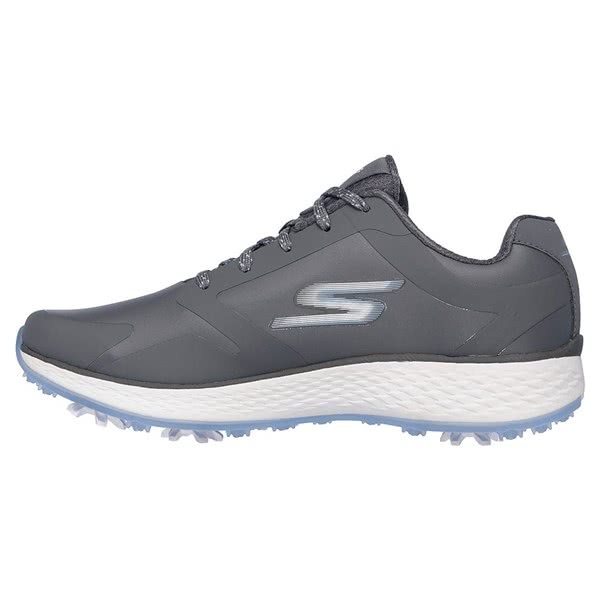 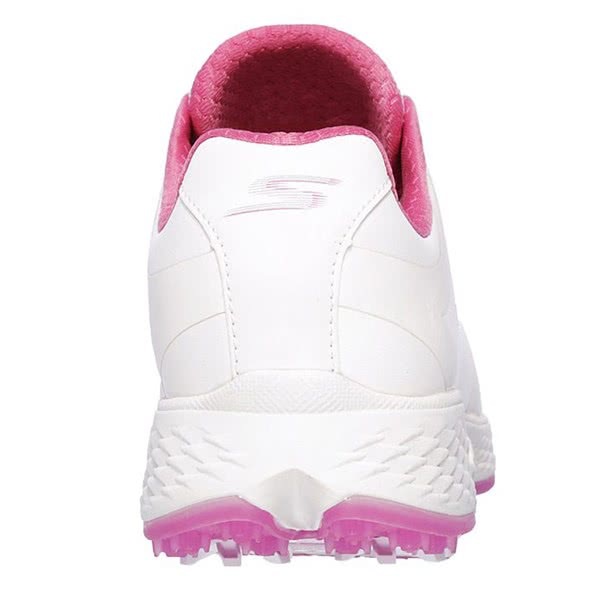 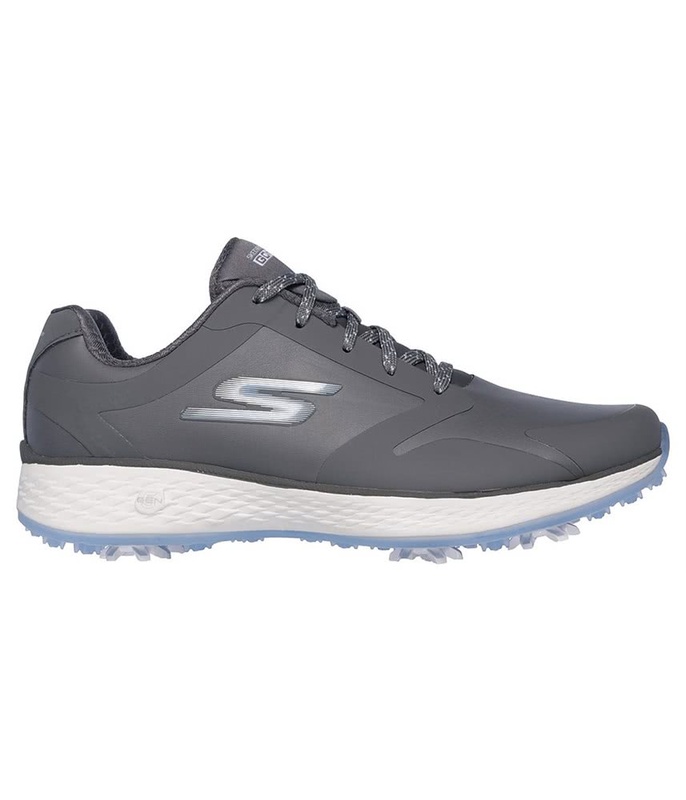 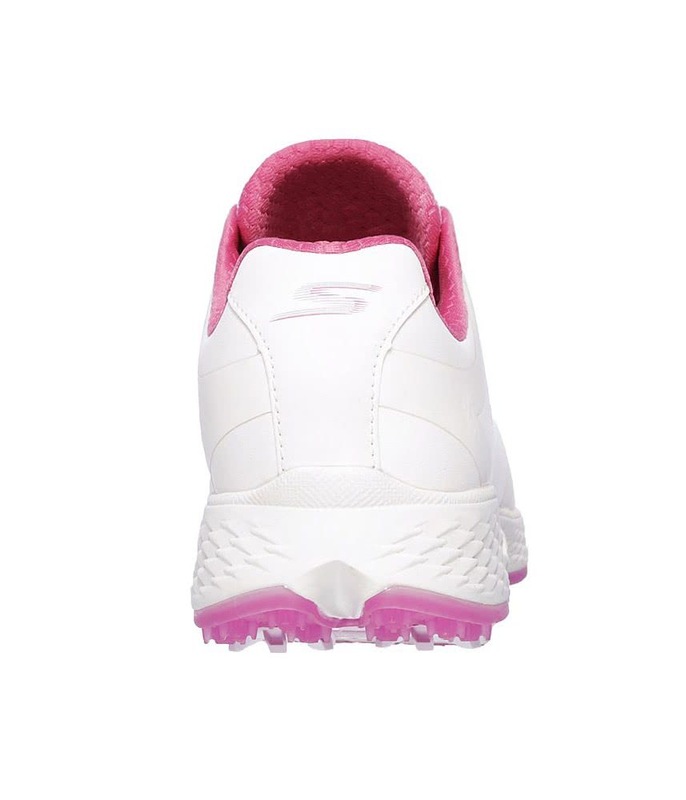 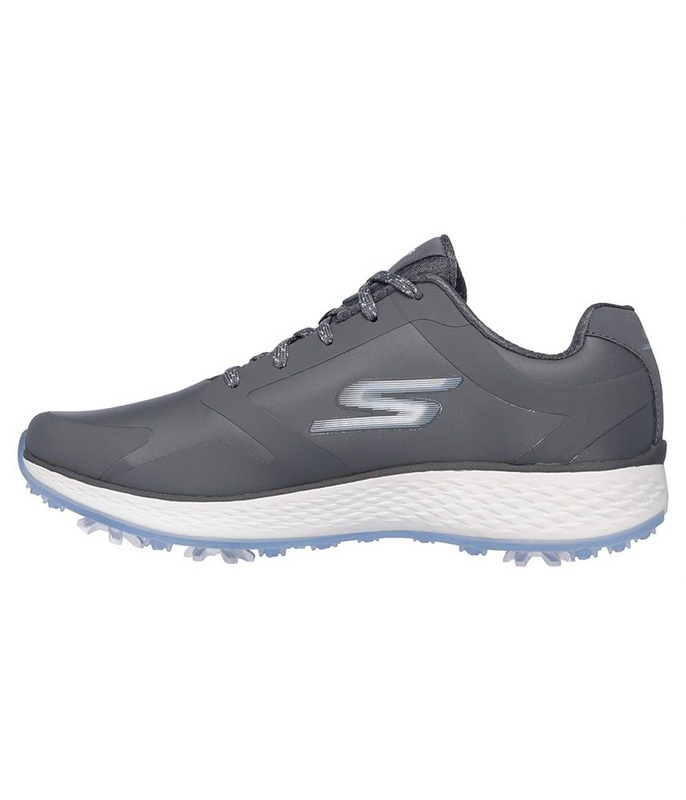 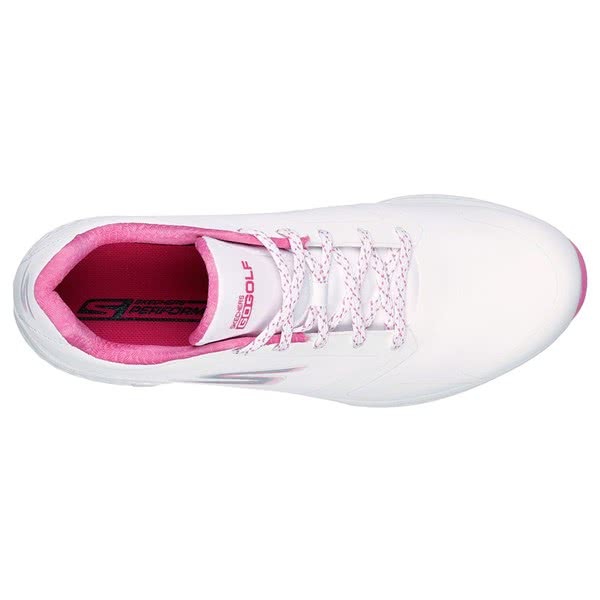 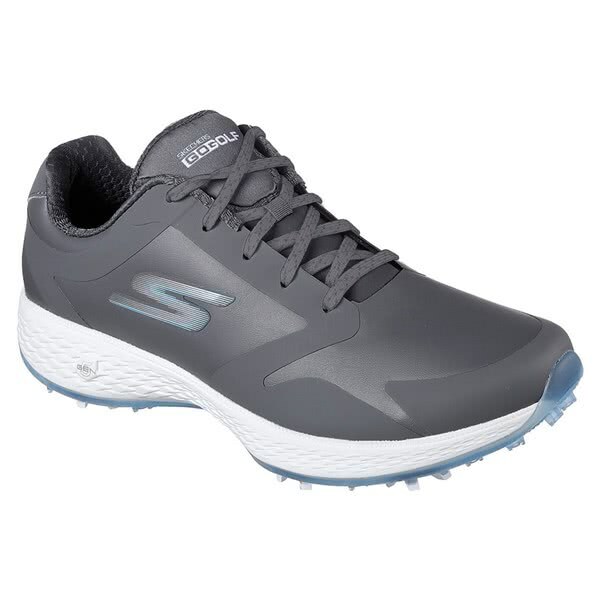 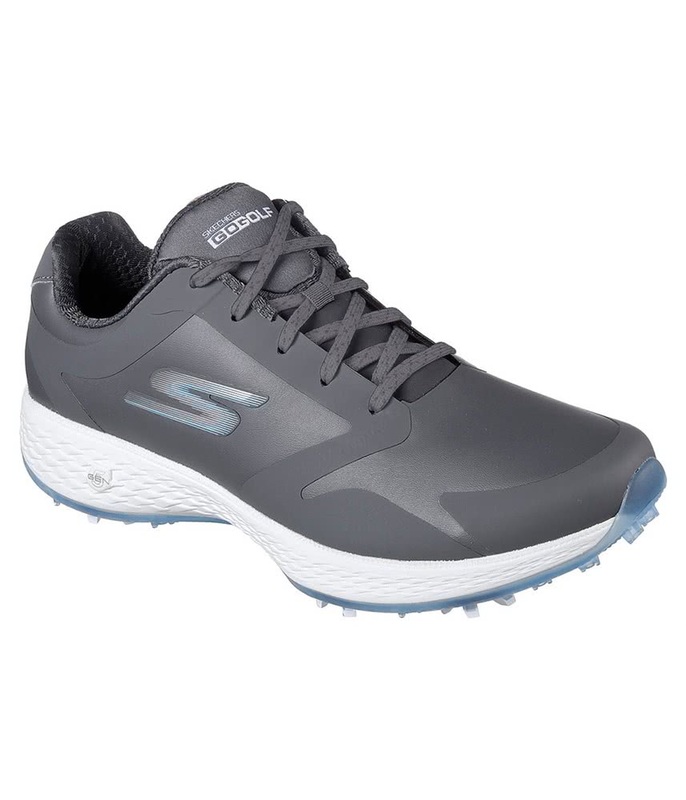 The Skechers Ladies GO GOLF Eagle Pro Golf Shoe features a sneaker-like appearance with a spiked sole that will give you incredible grip, traction and stability throughout the year. 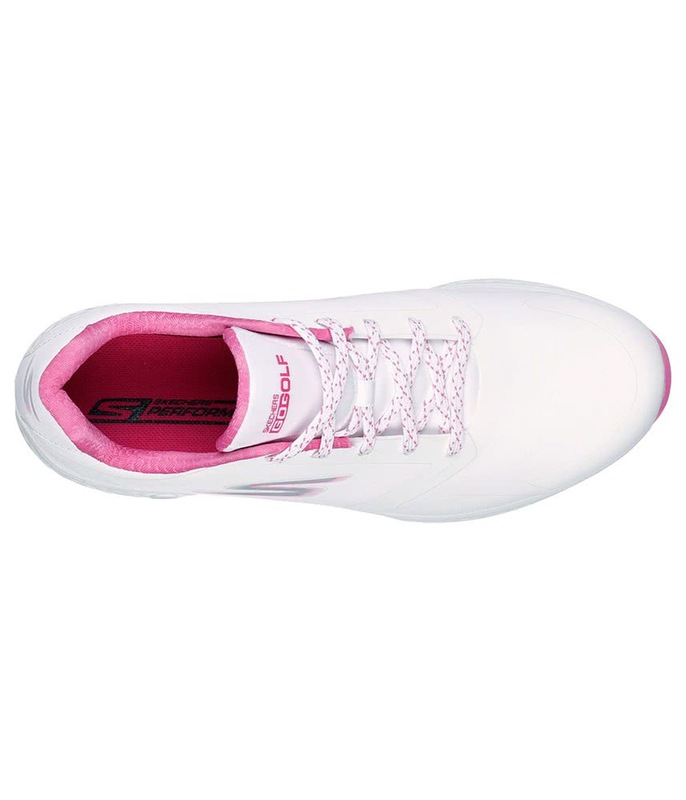 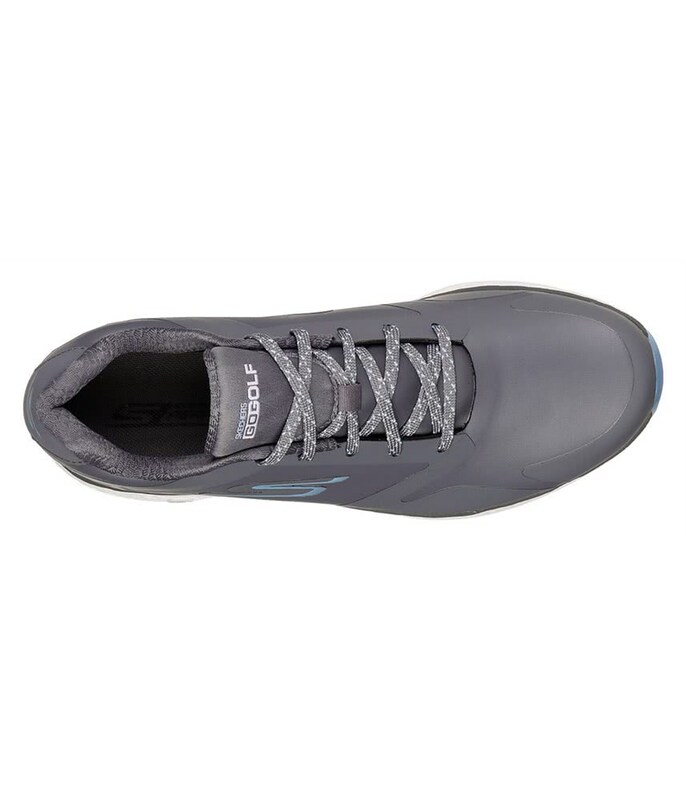 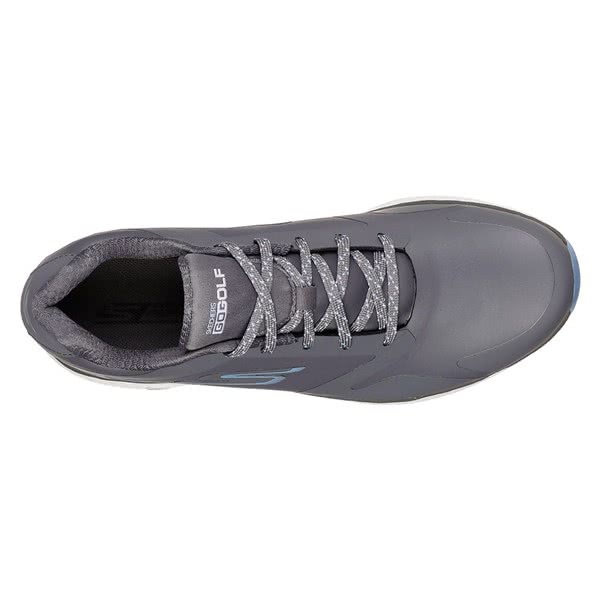 Skechers have used a water-resistant, athletic mesh and synthetic upper with a traditional lace up front. 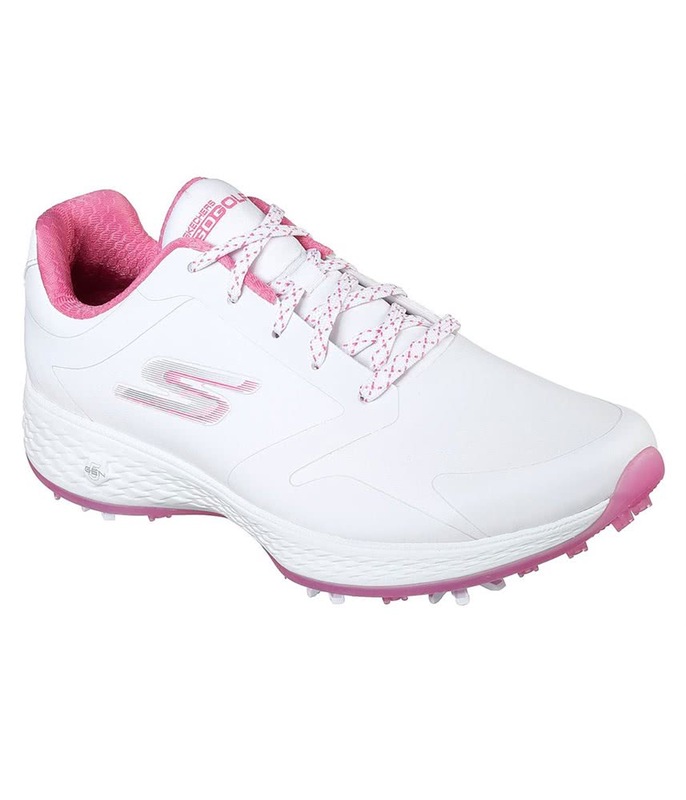 Together with the Gogo Max innovative insole Skechers have added a padded collar and tongue design that will provide and deliver incredible responsive cushioning and comfort. 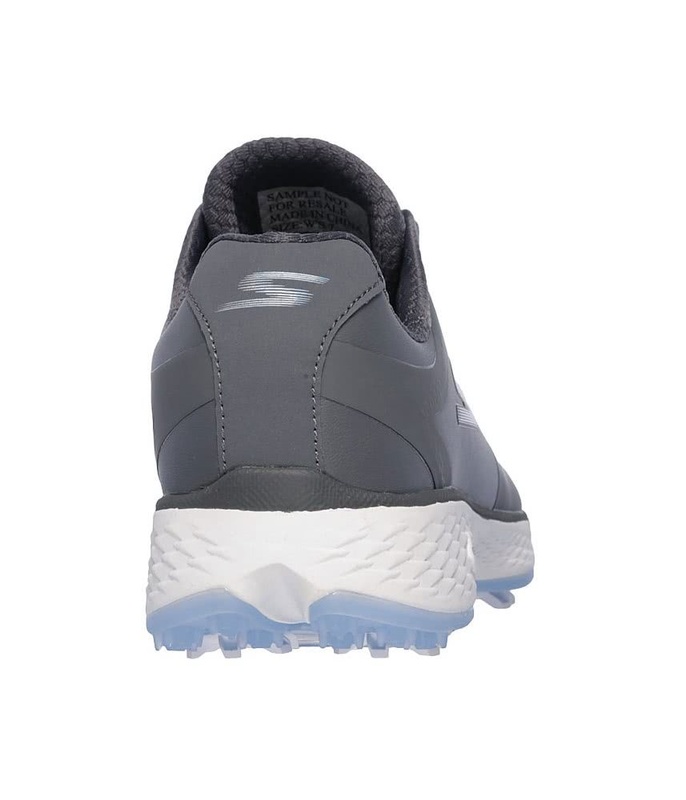 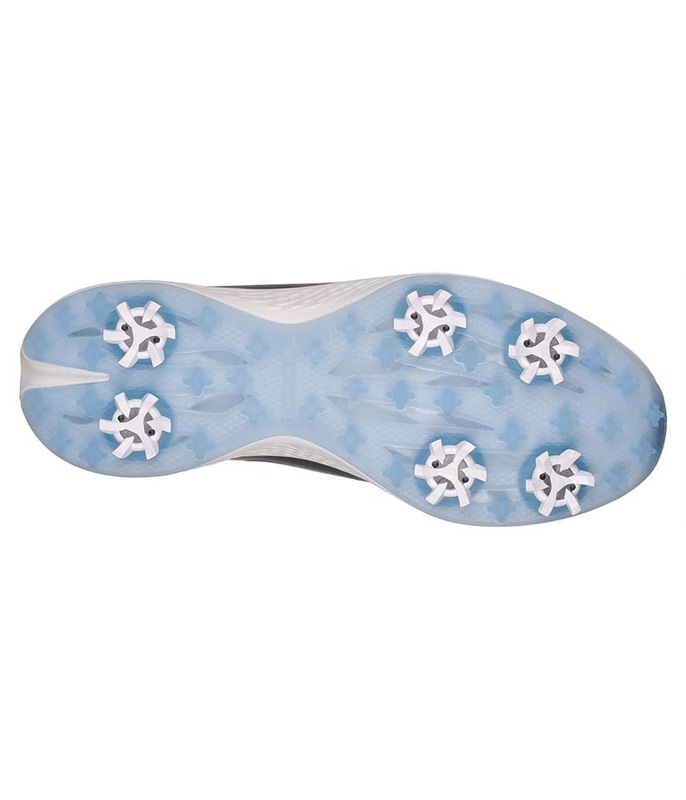 The outsole design on the GO GOLF Eagle Pro Golf Shoe is based on their GOwalk 4 technology and features a durable, flexible rubber outsole design with a six spike Softspikes configuration.